By re-arranging the furniture, you make the rooms balanced in a private residence. Some large furniture items really make your house messy. By re-arranging the house, you can make the rooms balanced by relocating the perfect place for such furniture items. You can begin with the heavier and major pieces of the furniture first so as to make way for rearranging the minor furniture items later. 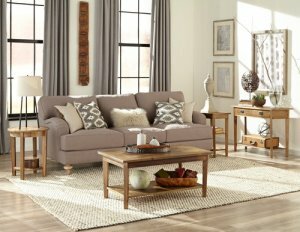 If there is a lack of some furniture item, you can easily supplement it before the time a buyer comes to scrutinize it for a purchase. We often ignore the interior mistakes while actually living in a house but this is surely the first thing we look for while purchasing a new house. A house is nothing but a combination of rooms and these rooms can really look better if you work on their interior. Most of the space in a room is occupied by either furniture or paintings, photographs and other such stuff. Rearranging all these items can really make your room look the best. 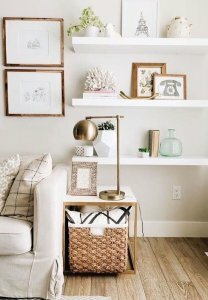 By showcasing the existing stuff and adding the new stuff (if needed) one can really redesign and enhance the living experience in a particular space and sell your house at no time! When we enter a specific room in our house, we often wonder that there is some extra furniture kept in the room. This extra furniture makes the room feel suffocated. Even if you are fine with a lack of space in the room, the others won’t be. So it’s the high time you re-arrange the furniture in your house in order to make the room more spacious and appealing by removing the extra furniture from its rooms. You can also get the broken units repaired or replaced with new ones. The extra furniture removed from these rooms can either be put for sale separately or it can be shifted to a room with some extra space. Even an empty room in your house is enough for the house buyers to raise questions. Having a room empty in your house can really make them think that perhaps you have run out of money or perhaps there is something wrong with that room. If there is an empty room in your house, you can make it feel less empty by re-arranging the furniture in your house. Both excess and lack of space are harmful. The rooms of your house should be neither extra empty nor extra occupied. You cannot obviously prevent the potential buyers from inspecting the house and from walking in it. If they walk in your house and don’t find a perfect walkway space in it, there are chances that they may not purchase it and thus you should rearrange the furniture for sure. It enables you to create a suitable walkway space in all the rooms. The environment of your house should be inviting enough before you plan to sell it. When we scrutinize a property in order to make a decision for its purchase, we make a temporary image of its each and every room in our mind. We may find one room suitable as a living room and we may find the other one suitable as a drawing room. The same will happen when the home buyers come to scrutinize your house for its rooms. Each room should speak for itself and there should not be any ‘No-purpose room’ for them in your house at all. By re-arranging the furniture in your house, you can easily re-arrange the rooms making them suitable for a specific purpose. Once you re-arrange the furniture in your house, you can yourself scrutinize the house before an actual potential buyer scrutinizes it. For example, you can spend a night in each room of your house so as to check the comfort, sleeping experience and living experience in it. If the room is comfortable enough for you, the potential buyers may also like it but if you yourself aren’t comfortable in it, how can you even think that the buyers are going to purchase it at all? While living in a house, we often purchase the new stuff without removing the old ones. This gives our house a kind of cluttered or untidy look. While rearranging the furniture, we can easily clear-up this clutter so as to make the house look good. We can easily remove the old or worn-out stuff replacing it with the new ones. Even if you contact a staging consultant for refurbishing your house, even they are going to re-arrange the furniture in your house first of all but it is also a sure shot thing that they will charge a suitable sum of amount from you for this purpose. When the same job is going to be done by a staging consultant, why can’t you do yourself saving these expenses? If the potential buyers come to scrutinize your house when you are still living in it, this will make them think more. They will be thinking more about de-cluttering the rooms, lack of space in the pathways, cleaning the house and improving its overall appeal. If your house is not show-ready before the time buyers come to see and scrutinize it, this will make them either reject the house or demand for a bit more concession and bargain in the form of repair and refurbishing needs. Rearranging the furniture of your house thus makes you avoid all such circumstances and make the house more appealing for all potential buyers. If you are from San Antonio Texas and not able to find a perfect buyer for your house, you can also contact us at (210) 547-7505 for the sale of your house. We are cash buyers of houses in San Antonio Texas and you can contact us for an all cash offer to sell your house. This saves both; your time and money.